Erythritol sweeteners have gained popularity as a low carb natural sweetener as well as a low-calorie option for dieters. Erythritol is a natural sugar alcohol commonly used in sugar free foods, but because it is less sweet than sugar it is often combined with other artificial sweeteners in low calorie products. Erythritol sweetener works well in coffee, tea and on cereal. It is said to taste like and look like sugar, but it also cooks like sugar without that funny aftertaste brought on by many sweeteners. Erythritol is a naturally occurring substance found in fruits like grapes, pears and watermelons and is most often made commercially from plant sugars mixed with water and then allowed to ferment. The fermented product is filtered and dried into crystals. The final product is granular and looks much like sugar. For dieters or people who must limit sugar intake, erythritol has a zero glycemic index and does not raise insulin levels or plasma glucose. 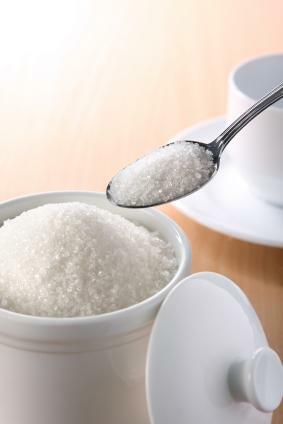 A teaspoon of erythritol only has .2 of a gram of carbs compared to the four carbs in a teaspoon of sugar. This makes it a zero carb sweetener which also has 95 percent less calories than sugar, and it is also far less likely than other sugar alcohols to increase plasma glucose and insulin levels, making erythritol potentially safer for diabetics. Aside from the fact that it doesn't affect blood sugar and can be used on low carb or low calorie diets, ertyritol sweeteners are said to taste more like sugar than most other natural sweeteners. This is an important factor when searching for a sweetener that can work for your diet. One last benefit many people don't take into consideration is that erythritol sweeteners don't contribute to tooth decay because the erythritol isn't metabolized by bacteria in the mouth. This is one of the reasons it is a popular ingredient in gums and candy. If you consume too much erythritol sweetener (more than 80 grams in a day) it may lead to bloating, flatulence, diarrhea and digestive upset. To put this into perspective, one teaspoon is about four grams. This makes it unlikely that you'll eat enough to cause gastric symptoms. It is also important to know erythritol has less of a laxative effect when compared to other sugar alcohols, because 90 percent of it is absorbed in the small intestine and eliminated through the urine. Along with this, the natural flora found in the colon does not use erythritol as a food source which lowers the chances of bloating and gas. While erythritol sweetener is sweet, it isn't as sweet as sugar and doesn't dissolve as well as sugar. With so many sweeteners on the market it is easy to get lost when trying to sort out the sweeteners made with erythritol. The following list of erythritol sweeteners makes it much easier.